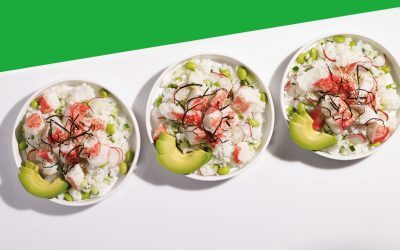 Inspired by Japanese cuisine, this Seafood & Cucumber Salad brings the taste of your favorite sushi restaurant appetizer to your home. 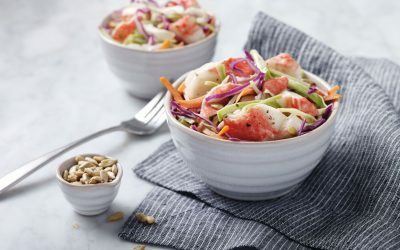 Enjoy this delicious salad as a side or as a light lunch on a relaxing summer day. In a medium bowl, whisk together rice wine vinegar, ginger, and honey. Slowly whisk in oil and add sesame seeds (if desired). 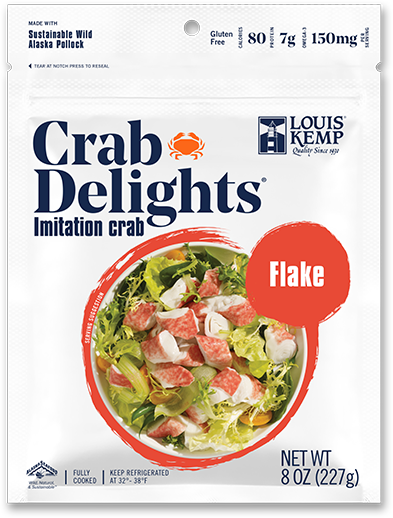 Gently toss in green onions, cucumber and Crab Delights®. 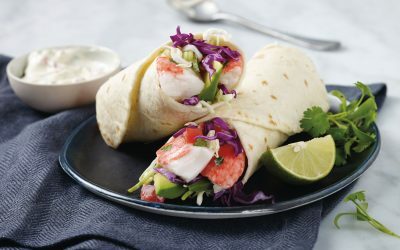 Arrange butter lettuce leaves on each plate, and place a mound of the seafood salad mixture on top of each.